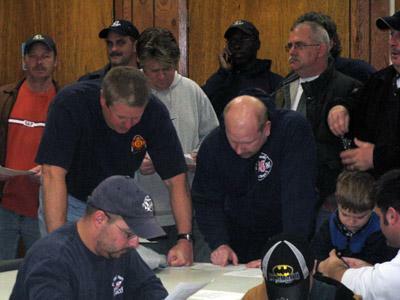 Firefighters from IAFF Local 73 on the day they learned about possible layoffs. A federal grant may allow the city to avoid those layoffs. 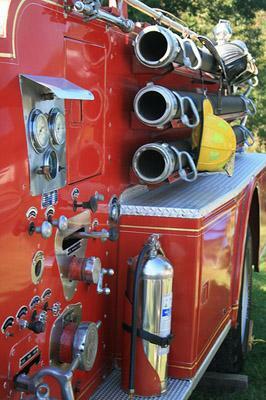 Firefighters in the city of St. Louis got some better news today. The money will help the department deal with a $2.5 million deficit in its budget for the current fiscal year, and could save the jobs of 30 firefighters. The city's top three elected officials were supposed to vote Friday on those layoffs, and the elimination of another 11 vacant positions - there's no word yet whether the agenda will change. The layoffs would have saved about $600,000 - the grant for this year is worth $1 million more than that. But it still leaves the city to find the additional $900,000 somewhere. And the SAFER grant does not help with a pension system that will cost the city about $30 million next year, a $4.7 million increase from this year. The St. Louis firefighters union lashed out at city hall today after the mayor announced the layoffs of 30 firefighters. The mayor's office claims that firefighter pension payments are doubling to nearly $11 million in just two years and risk bankrupting city government. Chris Molitor is the President of Firefighters Local 73. Among other things, he accused the mayor of refusing to negotiate in good faith. "When I woke up this morning, I had to see if I was living in Wisconsin or St. Louis, Missouri…this is wrong," Molitor said. The East St. Louis Fire Department will soon be able to bolster their efforts and staffing with a federal grant, the Belleville News-Democrat reports. St. Louis firefighters were told last week that they'd be subject to 30 layoffs. Yesterday, Comptroller Darlene Green said she would push a plan to furlough firefighters instead of laying them off. 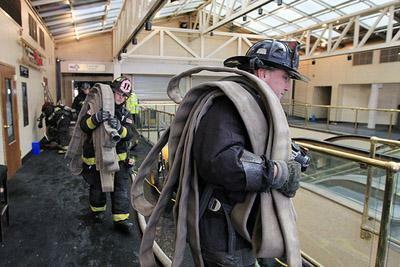 Today, as the St. Louis Post-Dispatch reports, the firefighters have responded.